Actor Louis Butelli is traveling the world in Gravedigger’s Tale as part of the First Folio! The Book That Gave Us Shakespeare tour. Read an update from his travels below! Hello again, friends, from your intrepid Gravedigger, Louis Butelli. 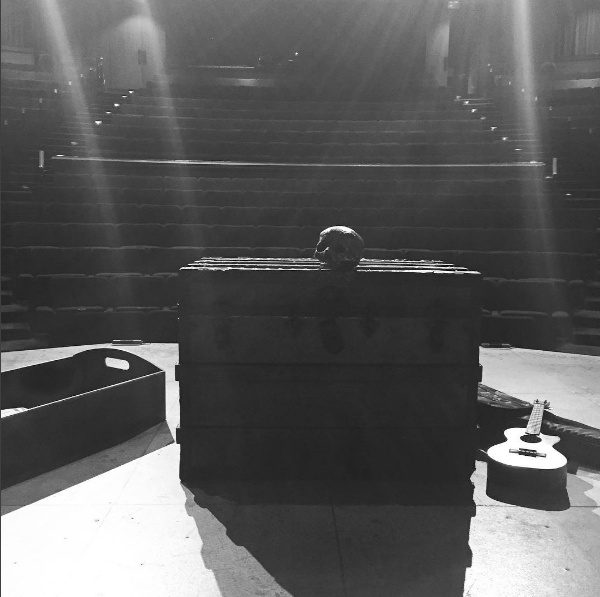 Believe it or not, we’re closing in on the end of the 2016 leg of our national tour of Gravedigger’s Tale, which travels in conjunction with Folger Shakespeare Library’s exhibition, First Folio: The Book That Gave Us Shakespeare. It’s been an absolutely wild ride, full of far-flung locales, fascinating communities, and delightful audiences. 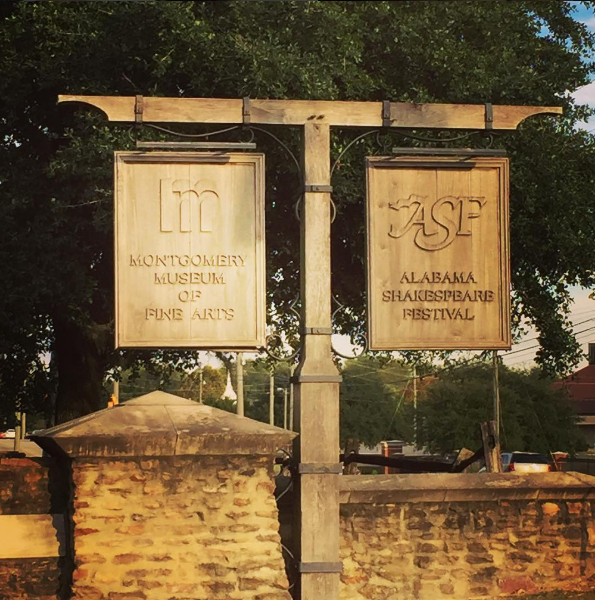 For this dispatch, I wanted to talk a little bit about my recent trip to Montgomery, Alabama, where I played six performances at the Alabama Shakespeare Festival. Under the artistic leadership of Geoffrey Sherman, ASF produces a full roster of plays: Shakespeare, classics, old favorites, world-premieres, musicals, and special events. 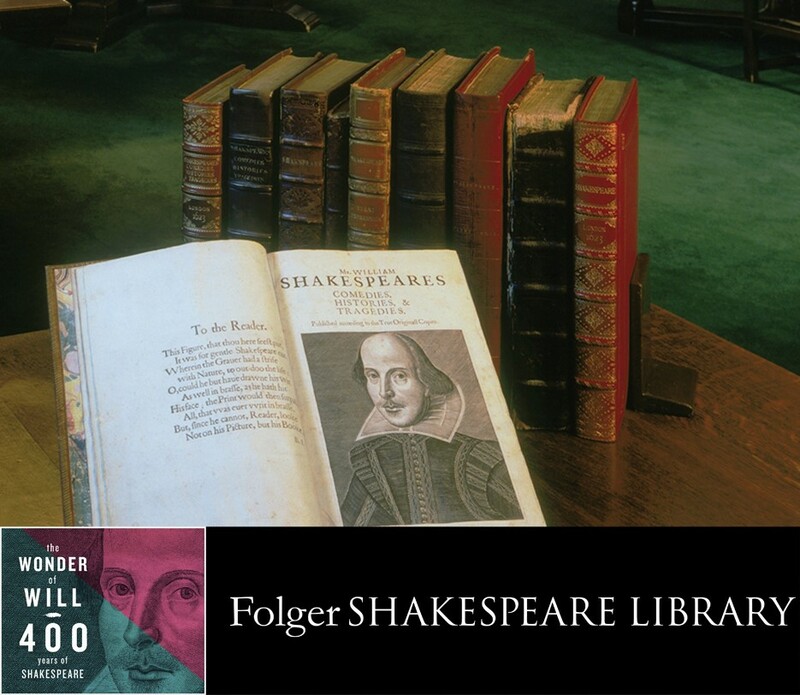 It is also a part of the Folger’s Theater Partnership Program, which stretches across the United States and connects the Folger with wonderful theaters looking to deepen the connection between audiences and Shakespeare. 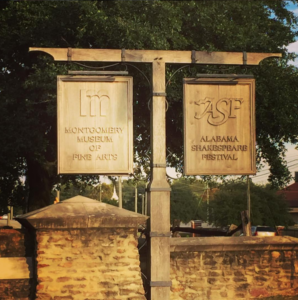 Founded in 1972 as a summer stock theater, the Festival has grown to one of the nation’s ten largest Shakespeare Festivals and, since 1985, thanks to the generosity of Winton and Carolyn Blount, has been housed in their glorious complex in the Blount Cultural Park. The Carolyn Blount Theatre features a main stage hall and a second stage known as “the Octogon,” as well as an outdoor amphitheater in the “Shakespeare Garden.” Our performances were held both in the garden and on the main stage. For full disclosure, this engagement represented a return to ASF. I played there for a full season in 2012, appearing in The Merry Wives of Windsor, The 39 Steps, and in Folger Theatre’s production of Henry VIII, directed by Robert Richmond. Additionally, ASF hosted a special sold out, one-night-only performance of CYCLOPS: A Rock Opera, an original musical created by my theater company, Psittacus Productions. I hope I won’t sound biased when I say that the ASF family is composed of excellent artists and beautiful human beings. The most significant component of my recent trip back to ASF involved the run-time of Gravedigger’s Tale. In its current incarnation, the show runs about 45 minutes, followed by a Q&A. We designed it this way to make the experience friendly to audiences of all ages. For the main stage performances at ASF, however, we wondered how we might extend the run-time for adult patrons who were hoping for a nice long night out on the town. It was time to put on my thinking cap – 15 minutes doesn’t seem like much, but in stage time, it’s sort of an eternity. A simple addition came to me first. Ordinarily, we close our show with a song – the song the Gravedigger himself sings in Act V, scene 1 of Hamlet. With lyrics by William Shakespeare, music by the incomparable Matthew Marsh, and myself on vocals and ukulele, the song caps off the evening quite satisfactorily. I decided to add a second song as an “encore.” This time, I chose the song Feste sings at the end of Twelfth Night, “The Wind and the Rain.” I originally performed this tune, with lyrics by Shakespeare and music by Matthew Neilson, in Folger Theatre’s 2013 production of the play. I do the number as a sing-along with the audience and with closing lyrics, “that’s all one, our play is done,” it is arguably an even more satisfying finish. This still left me with 10 minutes to fill. Back to the drawing board. Now, one never quite knows how things will go when we add an audience member pulled up on stage—it is a delightful mystery. I’m happy to report that the new bits worked perfectly, thanks to the game and brave audiences at these performances. Big thanks here must go to Charles and Shanley in the ASF props department. They pulled mugs and buckets and tables and crates for me, as well as custom designing paper props from which my two audience guest stars could read their lines. Thanks also to Jeffrey Todhunter’s costume shop who pulled hat and scarf options for me. Theater is always collaborative, and the family at ASF are absolutely the best at it. In the meantime, we have gigs to go at Hudson Valley Shakespeare Festival, Gallaudet University in DC, and Elizabethtown College. More to come! Thanks for reading! 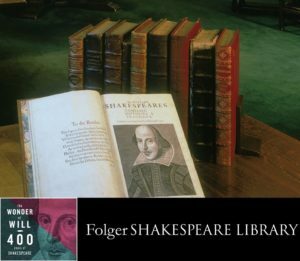 See the largest collection of First Folios ever displayed when Folger Shakespeare Library welcomes them back from the road. First Folio! America’s Shakespeare Tour opens November 19, 2016. Free admission. For more information, visit our website.